The first commercial flight for the brand new Boeing MAX 8 will be to Adelaide later this month. 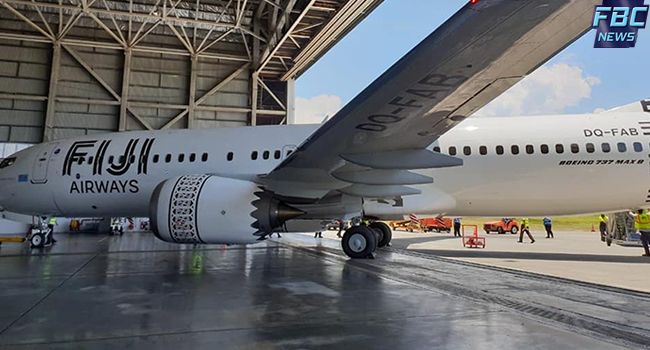 Fiji Airways Managing Director and Chief executive, Andre Viljoen says it has been a tough few years to procure the Boeing MAX 8. Viljoen says once all 5 Boeing MAX 8 replaces all existing Boeing 737 fleet, Fiji Airways will have one of the youngest aircraft fleets in the world. He says the Boeing 737 MAX is the fastest-selling airplane in Boeing history, accumulating about 4,800 orders from more than 100 customers worldwide. Viljoen adds that of one of the reasons they are also investing in their Aviation Academy is because the Boeing MAX 8 simulator will be one of the 3 simulators available at the Academy.